Want to capture the subscribers phone number and name without your staff to collect the form and enter the data into computer manually? Which is time consuming, error prone and costly. Why not let the subscribers do it themselves? This probably is the most powerful feature of the GT Notify system. 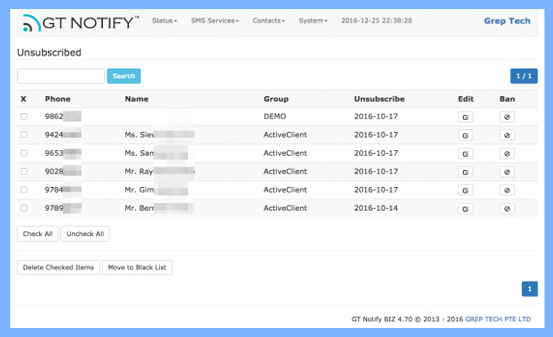 You setup a keyword, define an auto-responder message, and an option to notify you if you want to be notified when someone send that keyword to GT Notify system. DONE! Your auto responder is ready to run. Assume restaurant ABC Pizza post the following message outside their restaurant, and their on-line Facebook pages. When a person see the post, takes out his mobile phone and SMS “coke,john” to that number(eg 85502600). In this case, John’s phone number and name are automatically captured and stored in the GT Notify subscribers, and with the keyword “OFFER” tagged. 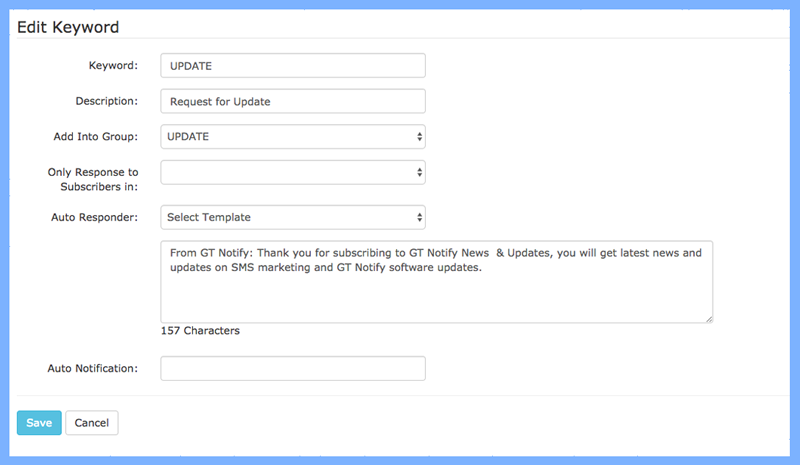 A confirmation SMS is automatically sent out by the GT Notify system. No human intervention at all. It is fully automatic. You can also ask all your users to register themselves to a specified keyword subscriber group. All these functions are performed by GT Notify auto-responder. What should I do if the subscriber want to un-subscribe? User un-subscription is also fully automatic. The GT Notify system will automatic update the John’s subscription record of un-subscription date and time. In the future, no campaign messages will be send to John any more. And all these processing is fully automatic. Want to group your subscribers into different groups so you can send different SMS messages to them? Keyword is the key part of the GT Notify system. Thought it is very important, it is extremely easy to setup and you can setup unlimited keyword, and have different auto-responder messages for a different keyword received. And you can even configure the system to notify you when a certain keyword is received. 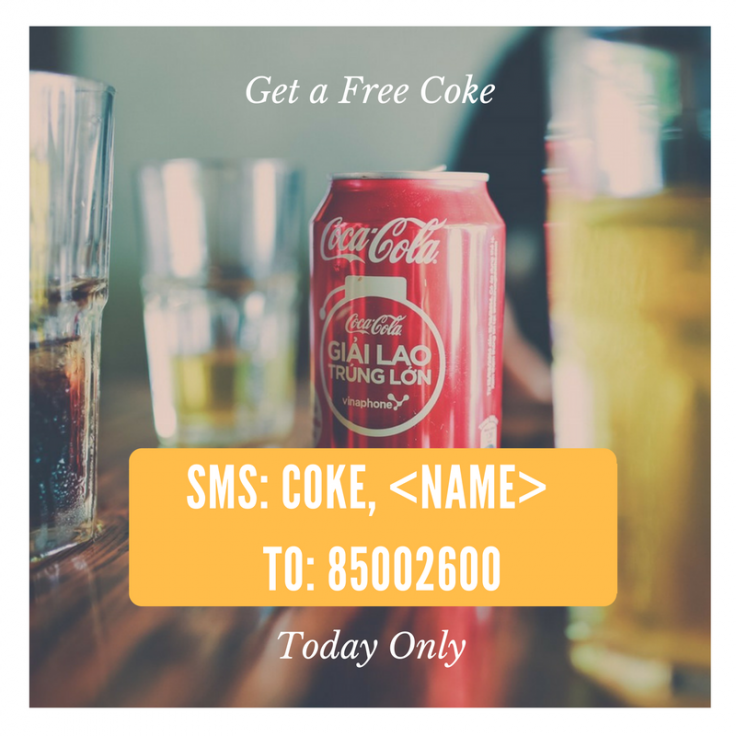 When the GT Notify system received the message “offer John”, the system will auto-reply with the message “Hi, John Show this message to redeem your FREE coke when you dine in at ABC Pizza, offer expires in 5 days. Un to unsub”. At the same time, the system automatically recorder John’s information into the database with name and mobile number. 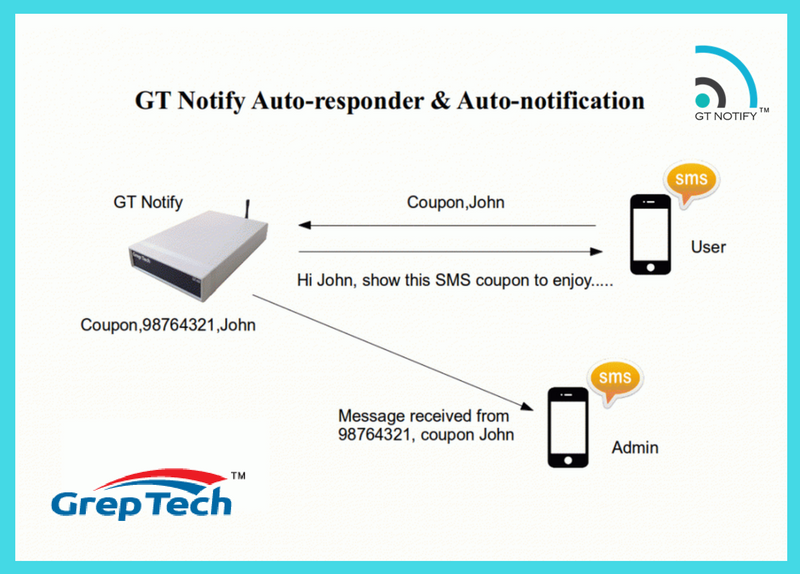 When the GT Notify system received the message “call John”, the system will auto-reply with the message “Hi, John Thanks for your message, we will contact your ASAP”. At the same time, the system will send another SMS to number 98765432, with John’s phone number and message received. And relevant people can response immediately. The possibilities of using keyword, auto-responder, auto-notification in your business are endless.